My friends think I’m a freak. 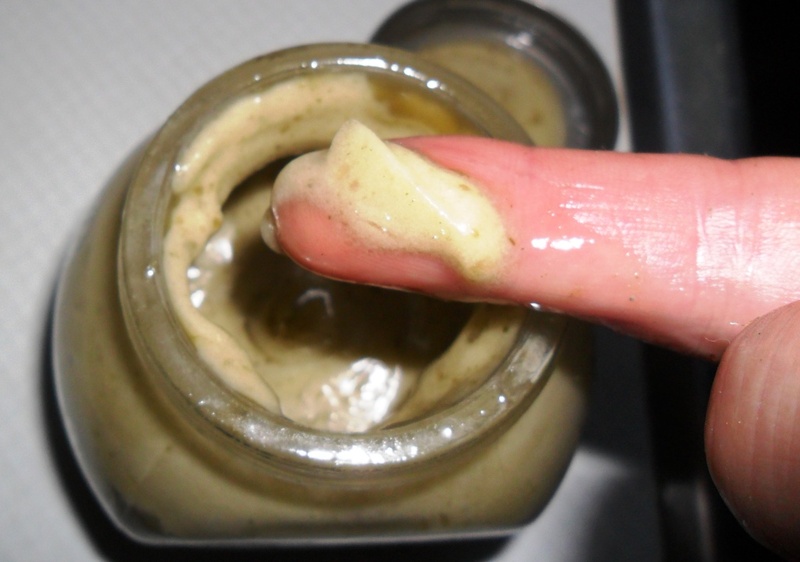 I experiment with body products made out of things around my house. The only rule is that I can’t buy anything special to add to anything I make. It must all come from my own current resources. That’s a problem with lotions. They need an emulsifier to thicken up properly. I’ve been getting away with tossing a bit of sunscreen into my concoctions, but this year, I’m experimenting with the purslane that grows in my veggie garden. To make purslane body lotion, all you need is purslane and coconut oil. Purslane contains a mucilaginous substance, which sounds icky, but it just means that it’s a thickening agent, so you can use it in pies, stews, and smoothies, and, of course, body lotions. Combine equal parts of purslane juice* and warm coconut oil in a small glass jar. Add any essential oil you like. Shake well. 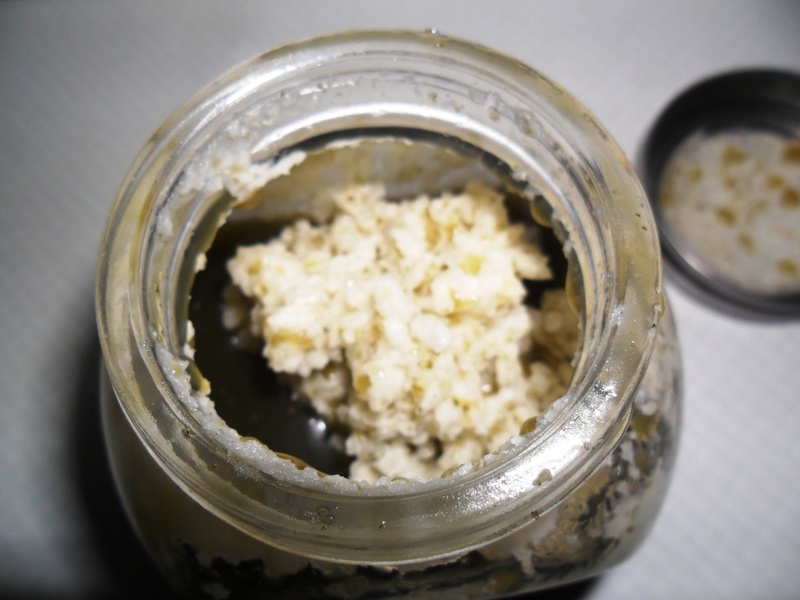 Pop it in the fridge for 10 minutes, until the coconut oil separates into a line of white on top (about 5 minutes). Shake again for at least 10 minutes (tag team the task with a friend!). You need to shake it this long to ensure that the oil absorbs all the purslane juice. As you can see, it’ll look a little gross at certain phases. Pop the jar back in the fridge for another 10 minutes. It should stabilize at this point, but if not, shake again. Store in a cool place; the lotion will separate from time to time, but just shake it before use. To overcome this liquid-solid business, once the lotion is stable, I keep it in the fridge. When I go to take a shower, I take it out and leave it to warm up in the bathroom while I wash.
*To make the juice, chop 1 cup of mostly purslane leaves; some stems are okay. 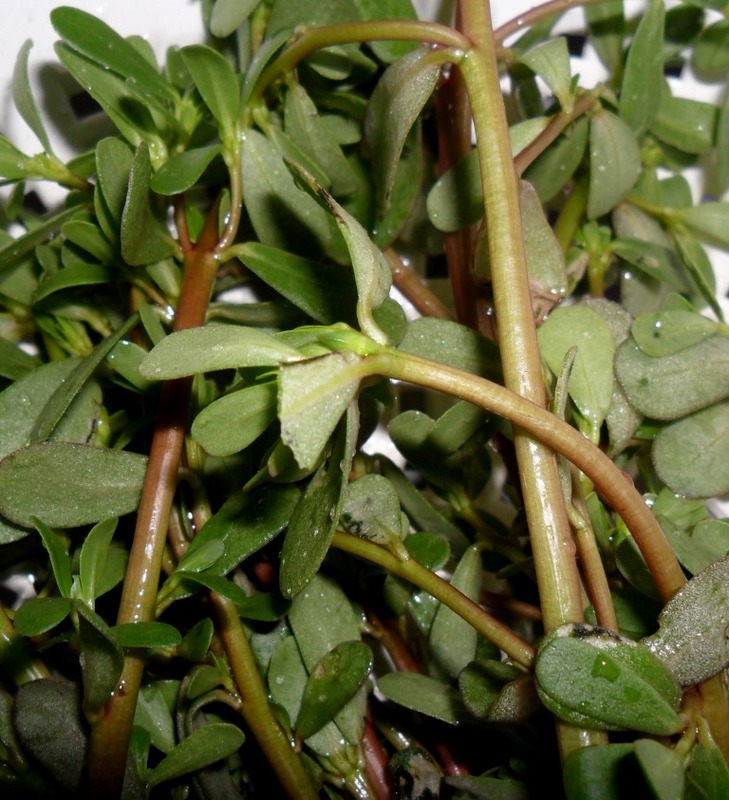 In a blender puree the purslane and 1 cup of water for 1 minute. Strain fibres using a small-mesh sieve. You can use the remaining mash in a smoothie or as a face mask. It can also be frozen for later use. If you’ve got purslane growing wild in your garden, consider yourself lucky. Eating it is as simple as picking some of the leaves and popping them in your mouth, or a salad. The leaves are sweeter if you pick them in the afternoon. Purslane is an indication of good soil health, plus it’s also got Vitamins C and E, calcium, manganese, and Omega-3 (more than any known plant and higher than in fish); it’s used as an anti-depressant, an anti-inflammatory, as a digestive, for pre-menstrual and menopausal symptoms,* and if all that weren’t enough, you can add it to body products.